Inside story of a Fashion Blogger "Fikayo"
We recently had conversation with an up and coming fashion blogger Fikayo who is running a fashion blog named Megirly. Pro Media Mag: First of all please introduce yourself to our readers. Fikayo : Hi, my name is Fikayo and I’m a young fashion and lifestyle blogger. Pro Media Mag: What was the idea behind choosing the name “Megirly” for your blog? Fikayo : The name was chosen because the world girly basically defines my blog, and the name just felt right. Pro Media Mag: Who or what inspired you to become a fashion Blogger? Fikayo : Well, I really love writing, there’s just something about it that keeps me going, and fashion has always been a part of me ever since I was little so being a being a fashion blogger was the answer to that combination. Pro Media Mag: Do you blog as a hobby or want to be a professional blogger? Fikayo : I would say as a hobby, I definitely want it to be a professional in the future but for now it’s just a hobby. Pro Media Mag: What are the topics you actually love to blog about? Fikayo : I don’t have any specific topics but they’ll always have something to do with inspiring and motivating people. Pro Media Mag: What have you learned most about being in the fashion and lifestyle blogging? Fikayo : In fashion I learnt a lot about different people having different styles and just because you have a different idea of what’s pretty in an outfit doesn’t mean someone’s else’s idea isn’t and in lifestyle, it just taught that just one post can help different people’s lives. Pro Media Mag: Are you active on social media as well? Pro Media Mag: what are your future goals? 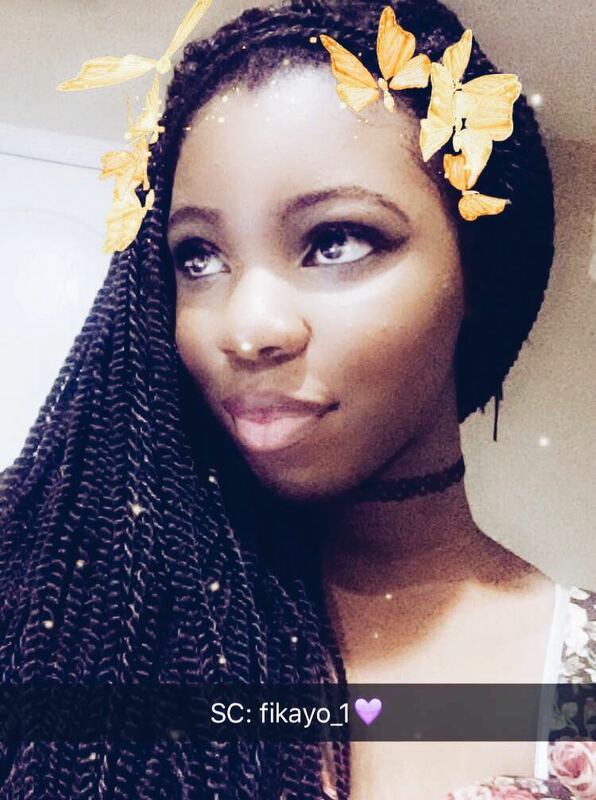 Fikayo : I actually want to be a pharmacist but I’m definitely not gonna ditch being a fashion blogger.